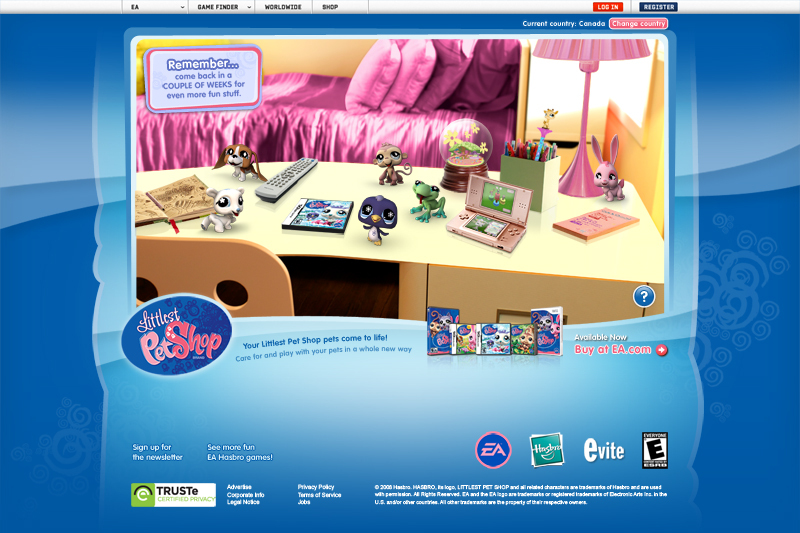 When the Littlest Pet Shop client from Electronic Arts (EA) shared the storyboard for the TV commercial, I knew that its set (a girl’s room) would be the perfect concept for the game’s microsite. 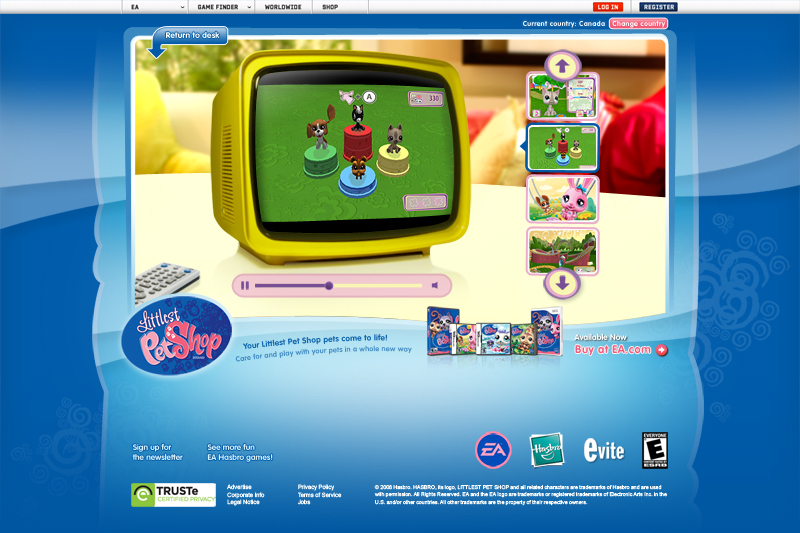 My team created a site that bridged all related media, using stills from the commercial as a background and navigation similar in style to what’s in the actual games. The result? 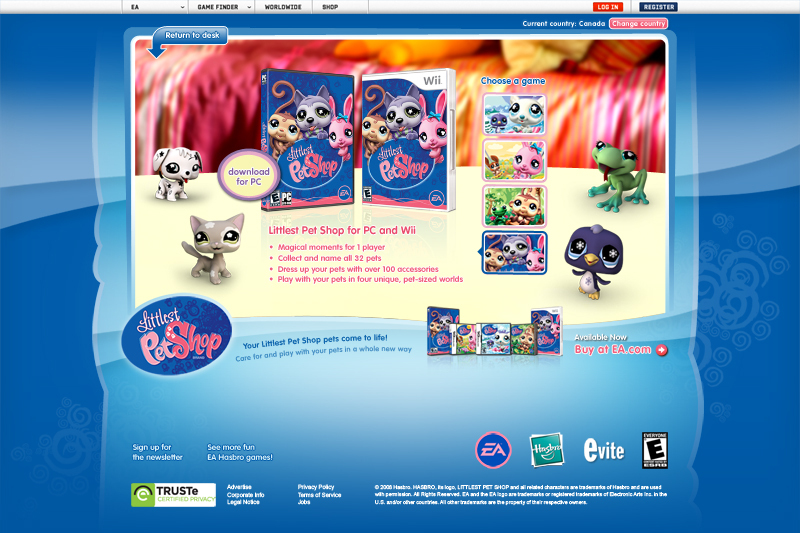 A cute, immersive, playful, and dynamic site, which effectively promoted the game and could expand with other campaigns. 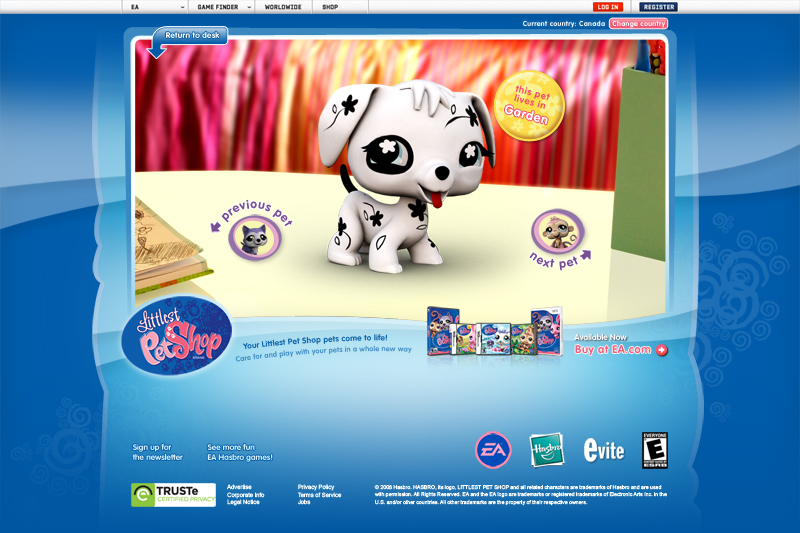 The scene-changing snow globe was my favourite part.